Hybrid Dungeon + PVP Event! Just put (P) beside your intro message to notify us that you are participating ! 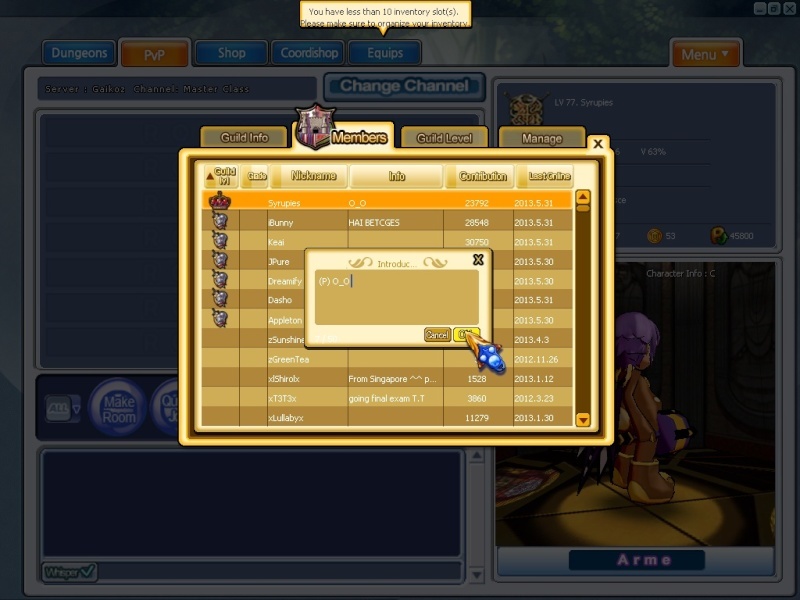 From there, i will tell you guys to go into Dungeon #1 (For example Xenia Border, XB) and complete it. See that? Ah-ha! The detail used for this SS Example is quite easy, right? Expect more during the event! The number of such rooms will depend on the number of participants. In each PVP room, there will be 2 organisers and any RANDOM participant can just enter and fill the rest of the 4 empty slots. In other words, the team members you get will be RANDOMISED. So why the 2 organisers? We will be there to supervise! Like to make sure that there's no switching between Serdin & Kanavan sides ONCE you enter the PVP room, etc. After that, we will repeat the entire process, regardless of who wins or loses! After the 3rd PVP, the organisers will tabulate your individual results and see which one of you has the highest number of wins. That player will be the winner! 1. 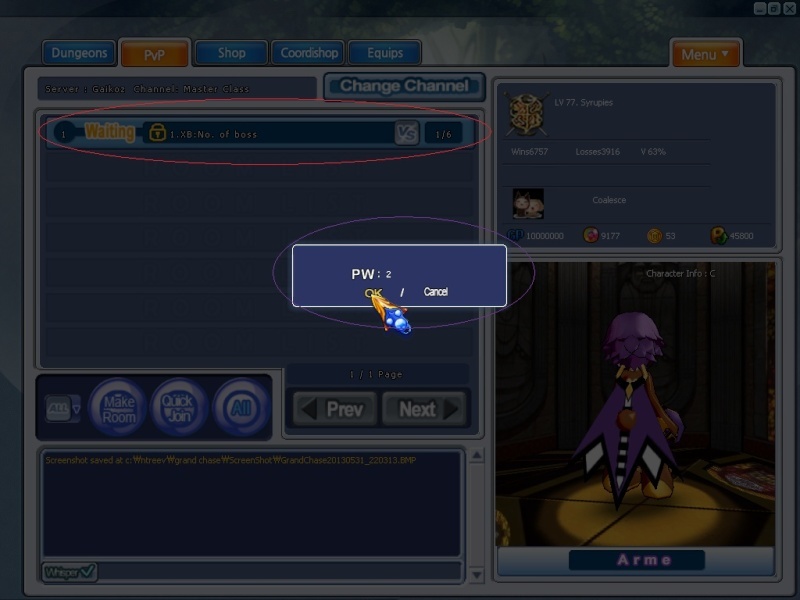 When there are even numbered of such players, we will do the Dungeon > PVP and now, the losing team will be eliminated while the winning team proceed on with the Dungeon > PVP process until there are last 2 participants left. --> And they will 1v1 each other to decide the winner! 2. When there are odd numbered of such players, we will do 1v1s, the round robin style. Until the last one(winner) stands! If there are any questions regarding the event, please do ask! We hope that you would participate and most importantly, have fun! I will see what time is it, then i join for fun.